South India has always been coveted for its culture and intellectual pursuits; it goes without saying that the region boasts of a list of well-known MBA colleges. Read on to know more. Before discussing on the top MBA colleges in South India, it is necessary to understand the periphery of South India at first. South India consists of the states of Andhra Pradesh, Tamil Nadu, Telangana, Karnataka, Kerala and the union territories of Puducherry and Lakshadweep. The Southern states of India occupy nearly 20% of the total areas of India. It holds the highest rank in the country in terms of socioeconomic development. At the time of assigning ranks to MBA colleges, varied parametric qualities are taken into account. The most common of them are mode and quality of teaching, infrastructure of the campus, amenities offered, placement history, caliber of the faculties and the like. South India is a place that can boast of having MBA colleges with all of the above mentioned attributes to the highest degree. The article will give you the information on the top MBA colleges in South India. IIM Bangalore, established in 1973 and inaugurated by the then PM Indira Gandhi, is the third IIM only after the IIMs of Calcutta and Ahmedabad. It is one of the best MBA institute not only in south India but also in the entire nation as well as in the Asia Pacific zone. Although it offers a number post graduate and doctoral program, the two year MBA program is the flagship course of the IIM Bangalore. Only two B schools in India have been awarded with 5 palmes and IIM is one of them. It has a stunning in-campus infrastructure with 24 hrs Wi-Fi accessibility, full automatic washing machines, uninterrupted power supply, swimming pool, open-air theatre, and auditorium with 500+ seating capacity and sporting facilities for several indoor and outdoor games. The mission of the institute is to create leaders through transformative, innovative and holistic education. Over 100 renowned companies from all over the globe visit its campus each and every year to collect successful future managers from this talent pool. Indian Institute of Management, Kozhikode is the 5th IIM set up in 1996 in Kerala with a number of academic programs and activities in the area of management education. The institute was inaugurated by A.P.J. Abdul Kalam, the then president of India. IIM K focuses on the equilibration betwixt business demand and socioeconomic concerns. It is the first B school in Asia to provide distance management program for the in-job executives. The institution emphasized on the uptake of females (up to 40%) with a view to increase the quantity of women folk in entrepreneur and management roles. It ranks among the top 10 business schools in India. IIM K has a distinctive commitment of contributing towards the society. With that end in view the students are to accomplish a Social Development Project in which they have to come up with effective solutions to major and prevalent social issues. Indian School of Business (ISB) is a private management institution in Hyderabad established in 1996 and administered by a group of Indian and foreigner entrepreneurs. The foundation stone was laid by Atal Bihari Vajpayee, the Prime Minister of India at that time. It is the first B school in South Asia to be recognized by Association to Advance Collegiate Schools of Business however is not certified by AICTE. This is due to the reason that the institute has decided not to implement AICTE accreditation as neither degree nor diploma is offered by this B school. The reason behind it is that it aims at retaining the flexibility in its management programs in response to the altering industry needs. It is the youngest B school to have secured its place in the MBA ranking on a global basis. Loyola Institute of Business Administration (LIBA) is a reputed B school situated in Chennai, Tamil Nadu founded in 1979. It is an autonomous institute regulated by Loyala College Society. It offers full time (2 year) as well as part time (3 year) MBA programs especially for the working executives. Other diploma courses and PhD programs are also offered in collaboration with Madras University. Leading companies from different industry such as Infosys, ITC, Asian Paints, HDFC bank, Bajaj Auto, Amazon and many more visit the campus for placement purpose. The education sector in south India being significantly developed, the region is having many eminent educational institutes along with some of the finest B schools of the country including two renowned IIMs. MBA aspirants from all over the country flock here to avail themselves of world class education facility from the leaders of the management sector. A follower of the latest trends in education in India, Sampurna Majumder has been lending her expertise to the leading educational website Shiksha.com by writing articles and blog posts on the current educational trends in India such as these. The above post takes a quick look at some of the top MBA colleges in India with special reference to south India. Could you please get me in touch with the content manager of this website? Nice article, but if you could mention institutions fees, admission process, it would be a great article. but still it’s a good article for those students who are looking for top MBA colleges in south India. IIMT Management College, Meerut is among the best MBA Colleges in UP, India with completely professional study environment for better delivery of courses at excellent level. 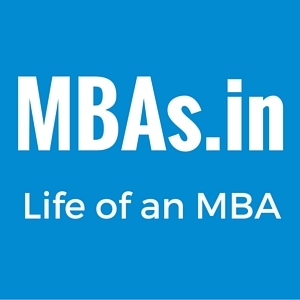 If its really that great, why don’t you ask one of your MBA students to write about their experiences here on MBAs.in ? IIMT Management College, Meerut is ranked among the top MBA colleges in UP, India due to its provision of high quality management education to the students from India and world. Join IIMT Engineering College Meerut, the Top Engineering College in Meerut offering undergraduate technical degree to the professional students to build-up their career in the field of engineering. IIMT College is known for 100% placements in Meerut. Don Bosco Group of Institutions Bangalore is the best MBA College provides mba program with great career opportunities and offers dual specialization which starts from third semester of the program to provide vital knowledge of different fields of management. This is a great compilation of the best colleges in South India and we all know that South India has the highest literacy rate. It offers great education to every student because everyone is literate here. There are so many things to look forward to when you apply to south Indian colleges in India.